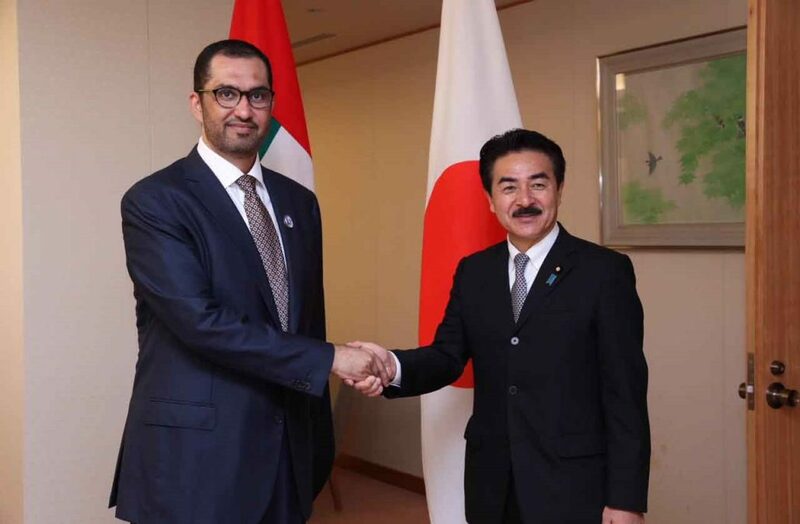 (Tokyo) – UAE Minister of State and Group CEO of the Abu Dhabi National Oil Company, ADNOC, Dr. Sultan Al Jaber, has held a series of meetings with a number of Japanese ministers, top officials and MPs to boost joint comprehensive strategic partnership as part of his state visit to Japan. While in Tokyo, Dr. Al Jaber met with Taro Kono, Foreign Minister; Masahisa Sato, State Minister for Foreign Affairs; Hiroshige Seko, Minister of Economy, Trade and Industry, and a number of MPs, to discuss ways of bolstering bilateral cooperation in various fields. ”The UAE leadership is keen on solidifying the distinguished ties with Japan through the ‘Comprehensive Strategic Partnership Initiative’ which was announced at the end of the successful and constructive official visit by the Japanese Prime Minister, Shinzo Abe, to the UAE in April 2018,” Dr. Al Jaber said. UAE and Japan have maintained strong cooperation in a wide range of areas including politics, economy, defence, energy, trade, investment, culture, education, advanced technology, health, space and aviation, among others. ”The UAE is seeking to take its ties with Japan to new levels given the status of the East Asian nation as an exceptional development model with huge expertise in advanced technology which would serve the sustainable and comprehensive development goals in the UAE,” Dr. Al Jaber stated. He expressed his confidence that the UAE-Japanese ties would grow and prosper driven by more opportunities for greater cooperation and investment between them. He also expressed the need for expanding bilateral strategic cooperation in several vital spheres, especially education, scientific research, energy, investment and industries. Later, during his visit to Tokyo, Dr. Al Jaber also met with Yasutoshi Nishimura, Deputy Chief Cabinet Secretary and Special Advisor to the Prime Minister, in addition to a number of CEOs of Japanese oil and gas companies and major financing institutions. He also visited Japan Broadcasting Corporation, where he viewed the latest technology in use. 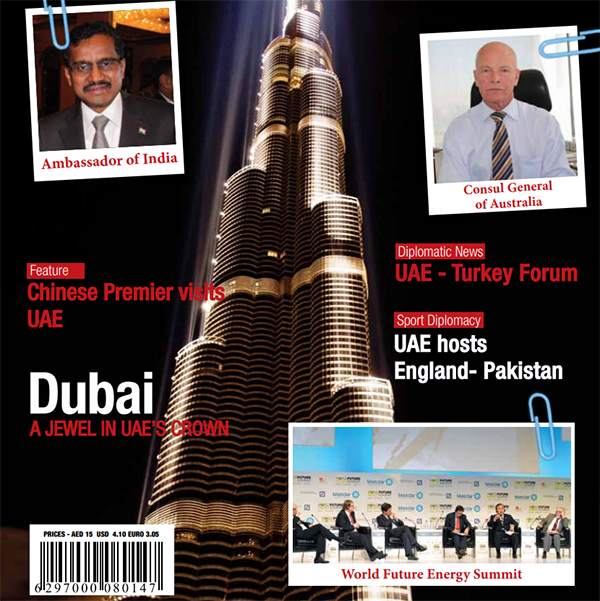 The UAE is the second largest exporter of crude oil to Japan after Saudi Arabia. In 2017, Japan imported AED 57.3 billion ($15.6 billion) worth of oil from the UAE, according to the Japan External Trade Organisation (Jetro). Nearly one third of ADNOC’s crude oil goes to Japan, accounting for 25 per cent of its total crude oil imports. Other exports include LNG, LPG, Naphtha and Sulphur. In addition, ADNOC has 6.29 million barrels of crude oil stored in the Kiire Oil Terminal Strategic Reserve, in southern Japan.